According to a newly formed group of local residents, community leaders, and business owners, Gainesville currently has the most expensive rates for broadband internet access in the state of Florida. And the group, Connected Gainesville, has plans to do something about it. The initiative, launched on the steps of City Hall the afternoon of February 1, is an effort to expand affordable high-speed broadband internet access to homes and businesses in the area in and around Gainesville. But some suggest the increase is more likely a reflection of the lack of competition in the area. 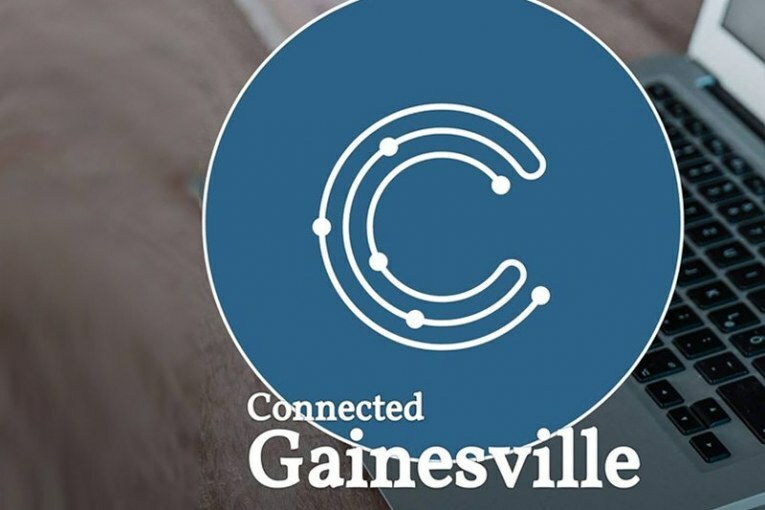 The backbone of Connected Gainesville’s agenda can be found largely based on the results of Next Century Cities Local Policy Agenda for Broadband Stakeholders published in July 2015. Next Century Cities describes itself as a nonpartisan group supporting community leaders across the country as they seek to ensure that all have access to fast, affordable, and reliable internet. It is the open availability of that access that is at the heart of Connected Gainesville and its goals. According to the FCC, 15 percent of Alachua County residents can’t access broadband internet. The state average is 7 percent. And according to Pew Research conducted in 2016, 52 percent of Americans view lack of home broadband as a “major disadvantage” to finding a job. “Essentially, there is no reason all members of our community should not have access to this necessity simply because they cannot afford it,” said Eastman. Eastman went on to say that the expansion of quality internet access can bring many benefits to Gainesville. Studies have shown increased internet access provides greater opportunities for small business, easier access to online education, and improved access to health services, all leading to increased property values and proven, and stronger local economies. Prices of residential access to broadband internet for all cities above 100,000 in Florida as of the 2010 Census. Yearly prices calculated by standard rate + modem rental cost.